Nuclear Weapons – "Now I become death, the destroyer of worlds"
"Now I become death, the destroyer of worlds"
" If atomic bombs are to be added as new weapons to the arsenals of a warring world, or to the arsenals of the nations preparing for war, then the time will come when mankind will curse the names of Los Alamos and Hiroshima. The people of this world must unite or they will perish. This war that has ravaged so much of the earth, has written these words. 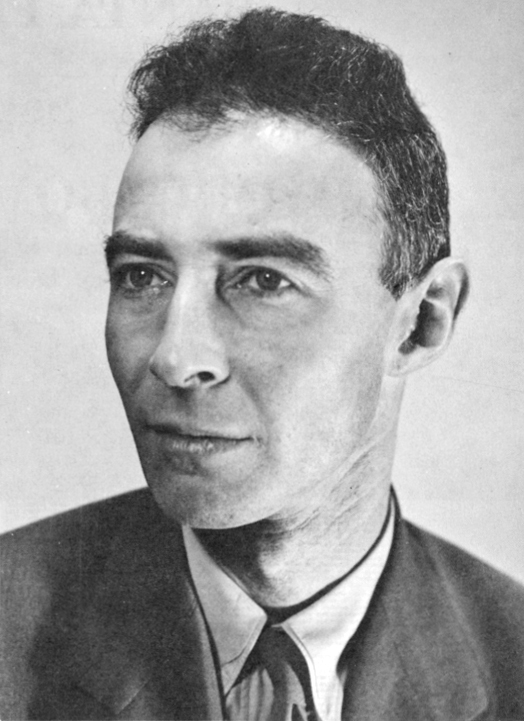 The atomic bomb has spelled them out for all men to understand...By our minds we are committed, committed to a world united, before the common peril, in law and in humanity "
American physicist and the scientific director of the Manhattan Project. This is an effort to provide information about nuclear weapons in consolidated and engaging manner. It will also provide insight on how dangerous nuclear weapons are for mankind and our planet. Ivy King was the largest ever pure fission Nuclear Bomb tested by USA on 16th November 1952.It was having yield of 500 Kiloton. "Trinity"-World first ever atomic bomb(20 KT) detonated by USA for testing purpose on July 16,1945 at Jornada del Muerto desert near Socorro, New Mexico. Atomic Bombs(Fission Weapons)-These weapons are based on Fission reactions.They derive majority of their explosive energy from nuclear fission reactions. Hydrogen Bombs(Fusion Weapons)-These weapons are also known as Thermonuclear Weapons It uses energy from a primary nuclear fission reaction to ignite a secondary nuclear fusion reactions. USA,Russia,UK,France,China,India,Pakistan,North Korea have developed nuclear weapons and acknowledged possessing them. Israel is also believed to possess nuclear weapons but it does not openly acknowledge having them. Belgium, Germany, Italy, Netherlands, Turkey also possess nuclear weapons under NATO nuclear weapons sharing program.United States has provided nuclear weapons for these countries to deploy and store. Nuclear weapon power is measured by its yield.Yield is the amount of energy released by nuclear weapon. It is measured either in kilotons , or megatons. Atomic bombs Little Boy(12-18 KT) and Fat Man(18-21 KT), detonated on Hiroshima and Nagasaki respectively, are relatively very small power when compared to today's nuclear weapons that are up to 3000 times more powerful. 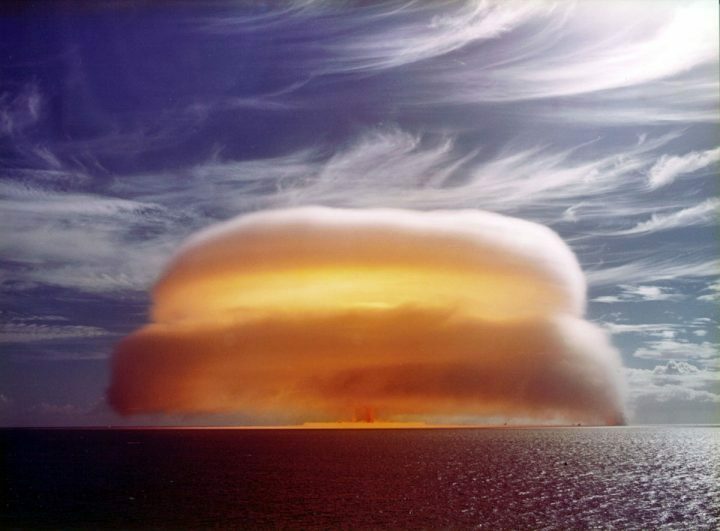 The most powerful nuclear device ever detonated had a yield of 50 MT. The first nuclear weapon tested on 16 July 1945 by USA at New Mexico's Alamogordo Bombing and Gunnery Range . Little Boy and Fat Man bombs were used a month later in the atomic bombings of Hiroshima and Nagasaki, respectively. Today's nuclear weapons are 1000 times more powerful than the atomic bombs used in world war 2.There are enough nuclear weapons that can destroy not only cites but almost whole world. Risk is not only due to use of nuclear weapons in war but there are also associated risks of terrorist attack or any accidents due to human error or natural disaster. Almost 150,000 people in Hiroshima and almost 80,000 people killed in Nagasaki.Thousands of people got severely injured and left alive to suffer pain of hell.Countless people who survived the attack died later due to poisoning of radiation. That seems a reasonable question. Is there really a point to having nuclear weapons?Considering their inherent danger to, quite literally, the entire planet, the question warrants answers; immediate answers. Today’s nuclear weapons are a thousand times more powerful that the atomic bombs used in World War II. The global nuclear arsenal can destroy our planet several times over. Do we need this threat hanging over our existence? The militarist response to that question is that they are a massive deterrent to limit the scale of hostilities from one country toward another. And indeed they do serve that purpose. 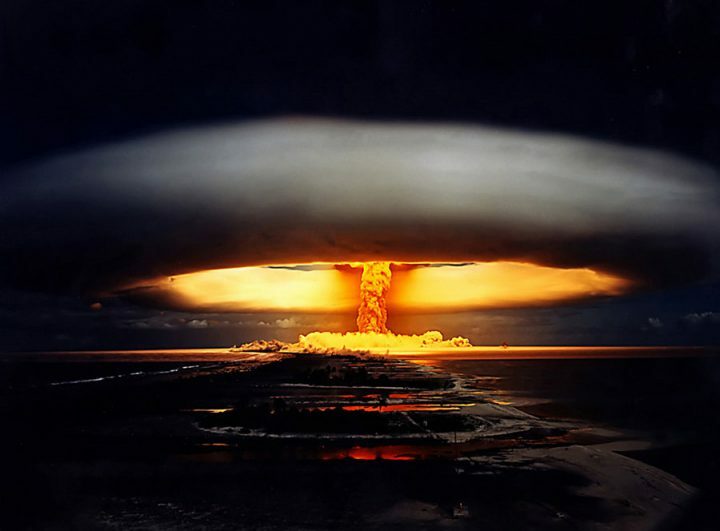 Russia simply will not attack America with nuclear weapons for fear of the American response. Both countries acknowledge that in such a scenario, there are no winners, and such an outbreak will likely lead to a rash of nuclear attacks between countries engaged in simmering feuds. striking first, striking fast, and demolishing an entire country in a couple swift strikes ? The rules of détente simply do not apply to such egocentric figures whose finger lies ever-so-close to the “Button”. Further, risk of nuclear attack lies with terrorists groups and cells. Terrorists tend to follow their own agenda, and so détente means little. Finally, there is the risk of accidents and human error. Imagine a highly coordinated and structured terrorist strike against a stockpile of nuclear weapons. It is not an improbable consideration. This very scenario should give all of us in the Global Community deep pause. Perhaps NOW is the time for us to join hands and raise our voices to completely eliminate nuclear weapons from this planet. To spread awareness of nuclear weapon proliferation across the globe so that this threat to our very existence can be wiped out once and for all. We have already seen the sheer devastation an unleashed nuclear weapon can have. Almost 150,000 were killed in Hiroshima. 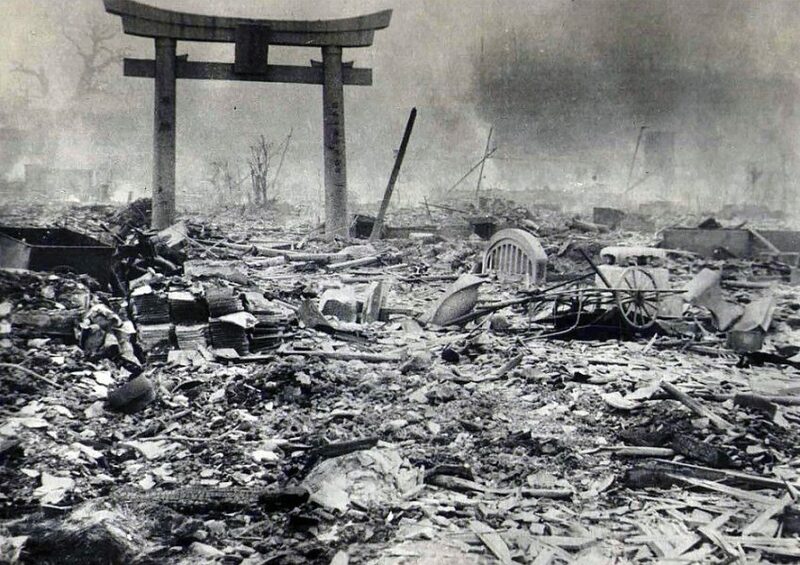 Another 80,000 were wiped from the face of the earth in Nagasaki. Countless numbers suffered through radiation burns and the hell of radiation poisoning, and it took an entire nation decades to recover from those two nuclear attacks. 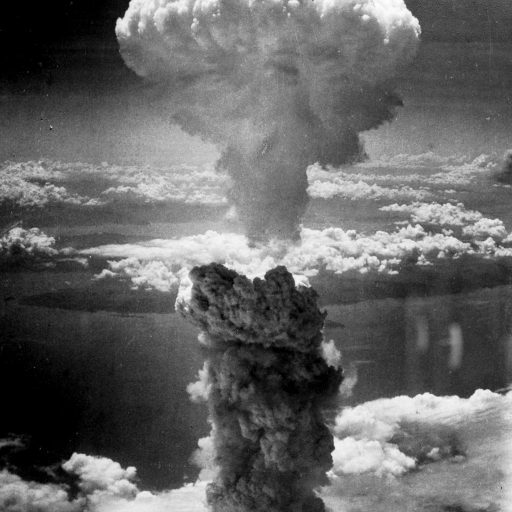 There is no question that America is the first country to use nuclear weapons in warfare, as evidenced by the bombings of Hiroshima and Nagasaki.But what led up to those momentous events in history?Let’s dive into history a bit. In October, 1939, World War II had just recently broken out in Europe, with the Hitler-led Nazi Germans at the forefront. America was watchful, keeping close intelligence on Hitler and the Nazi war-effort as the German war-machine launched an all-out blitzkrieg on her neighbors. At that time, two physicists who had escaped Europe and the encroaching Nazism, managed to get a letter through to Franklin D. Roosevelt, then President of the USA. 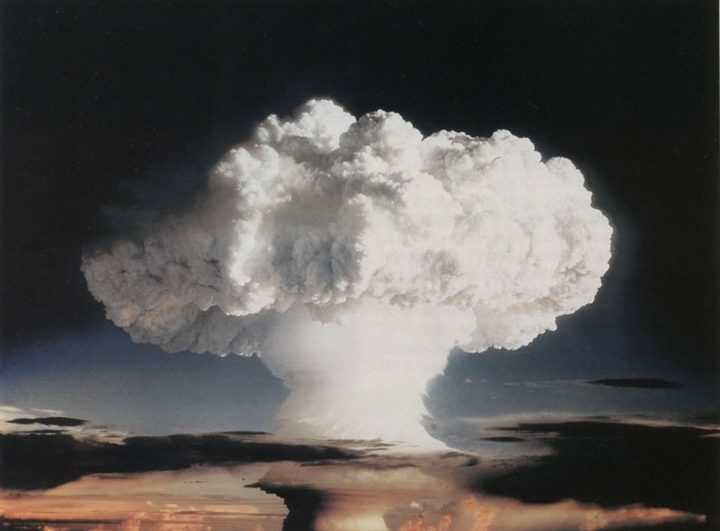 The physicists; Albert Einstein and Leo Szilard, stated in their letter to the President that a bomb of unprecedented power and magnitude could be developed utilizing the wondrous and seemingly limitless power of nuclear fission. Their letter further posed that Hitler-led Germany was already at work on a similar project, dubbed the “atomic bomb”. Should Germany be the first to develop the atomic bomb successfully, Hitler would have access to the weapon he needed to gain world dominion. There was little doubt that he would use it aggressively. At the urging of Einstein and Szilard, the USA jumped into the race to develop nuclear weapons, and “The Manhattan Project” came into existence. The Manhattan Project was a vast, Top-Secret effort employing over 200,000 workers and thousands of scientists and engineers; many of European background. 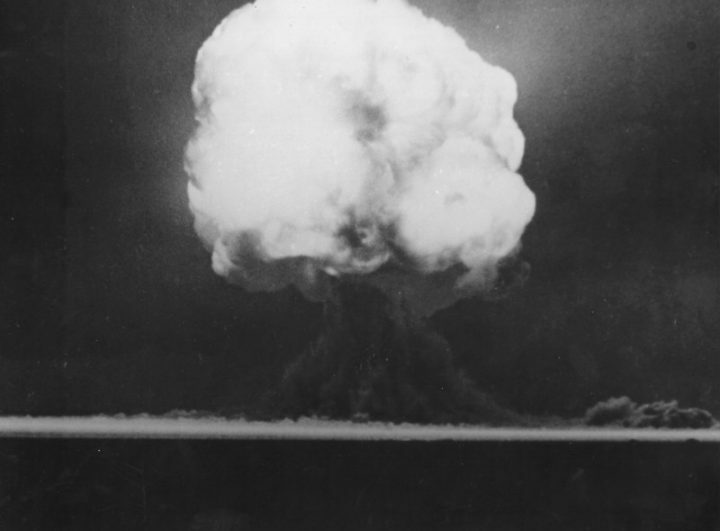 Fifty-four months later, the atomic bomb was successfully tested by The Manhattan Project in the Alamogordo Desert, near a tiny town called Trinity in New Mexico. The sheer power of the bomb displayed in that successful test was shocking, even to the men and women that developed and subsequently built the bomb. Since Germany surrendered on May 7, 1945, The Manhattan Project was no longer racing against Hitler to win the nuclear arms race, yet the Project still tested two months after Germany’s surrender! Did The Manhattan Project continue to push ahead with development of nuclear weapons because of the ongoing war against the Japanese? Make no mistake, the Japanese were fierce warriors, and they made their effectiveness very well known to the US with their strike against Pearl Harbor and subsequent battles in Midway, Guam, etc. The Japanese were extremely capable fighters. 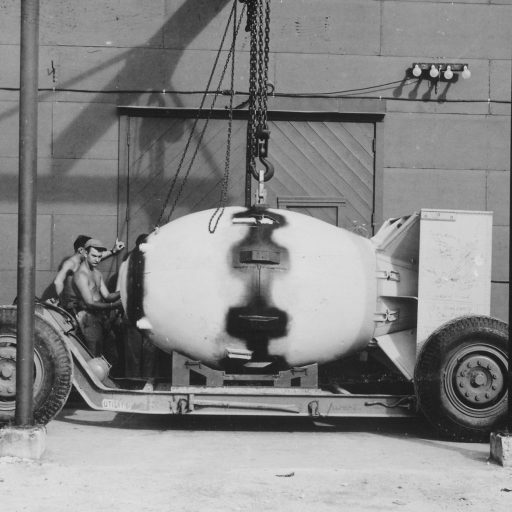 After the successful test in the Alamogordo Desert on July 16, 1945, President Truman issued orders to drop the first atomic bomb on Japan a mere nine days later, on July 25. In accord with the Quebec agreement, Both Canada and the United Kingdom consented with the order.USA ordered the atomic bomb dropped on Japan to force Japanese leadership to surrender quickly; at least that was the “Official” explanation. 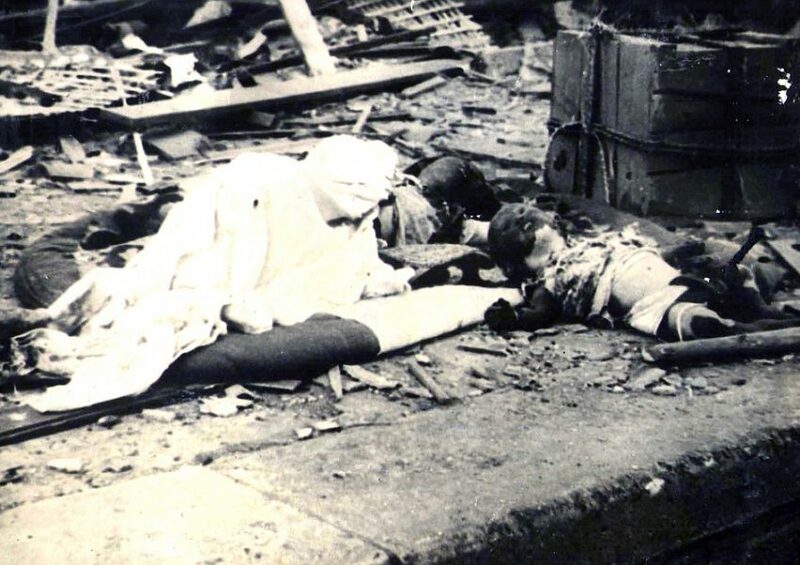 But a quick surrender by Japan was not the only reason for the historic bombings on Hiroshima and Nagasaki, though the limiting of American casualties was indeed a significant factor. “Little Boy” fell on Hiroshima, Japan on August 6, 1945, marking the first atomic strike in history. 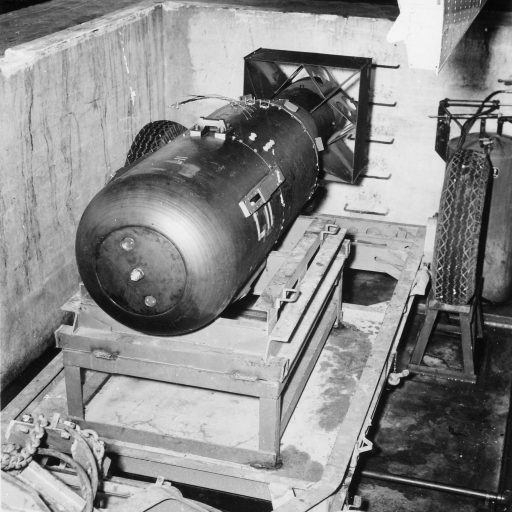 Three days later, “Fat Man” was dropped on the city of Nagasaki. These were the only times that nuclear weapons have been used in warfare. “Little Boy” struck Hiroshima’s city center, which was densely populated with wooden business and residential structures. The destruction from that atomic strike was absolute, wiping out 13 kilometers (five square miles) of the city. At the end of the day, 92% of the structures in the city had been destroyed or severely damaged. Death toll estimates range between 100,000 and 180,000 victims, out of a population of 350,000. 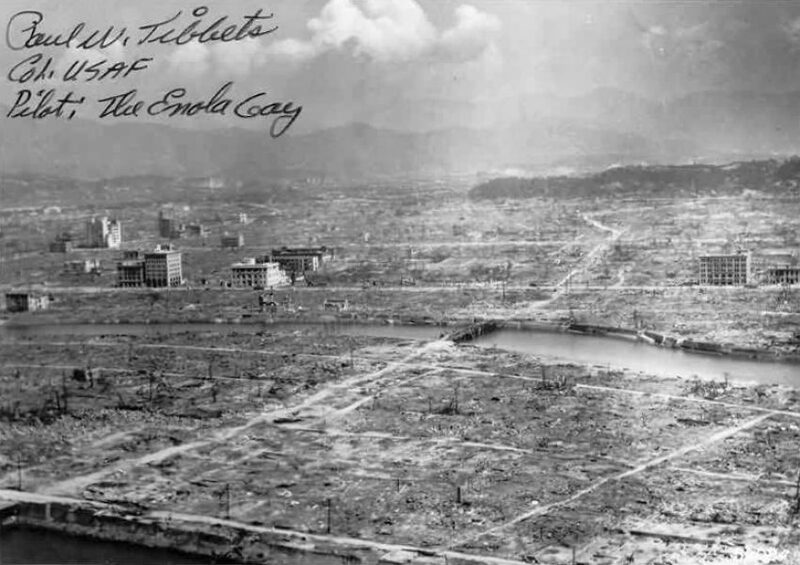 The impact to the landscape of Hiroshima and Nagasaki bears the difference in the power between the two atomic bombs, however, “Fat Man” was more powerful that “Little Boy”. The very same hills that helped shield Nagasaki also narrowed the field, focusing “Fat Man”s power, completely destroying the Urakami Valley and part of downtown Nagasaki. Hills around the Urakami River shielded the center of Nagasaki, its harbor and its historic district. 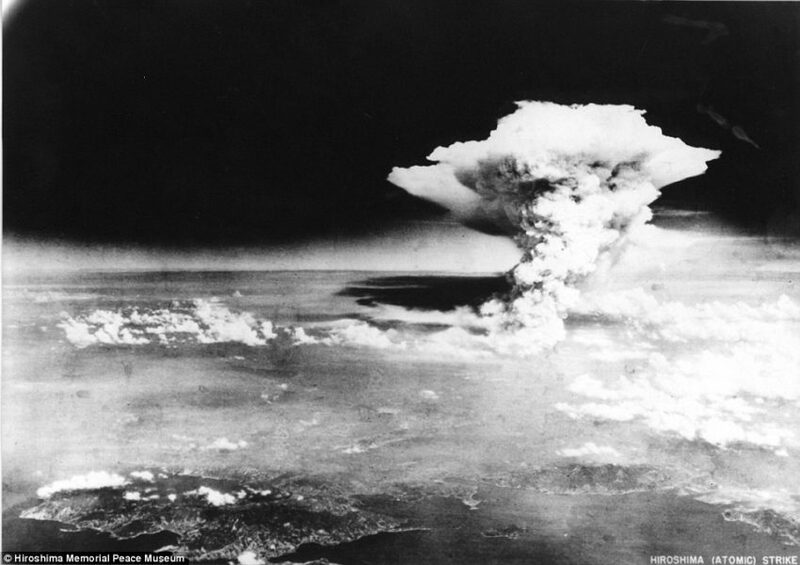 Thus the death toll and destruction was lessened when compared to that of Hiroshima. 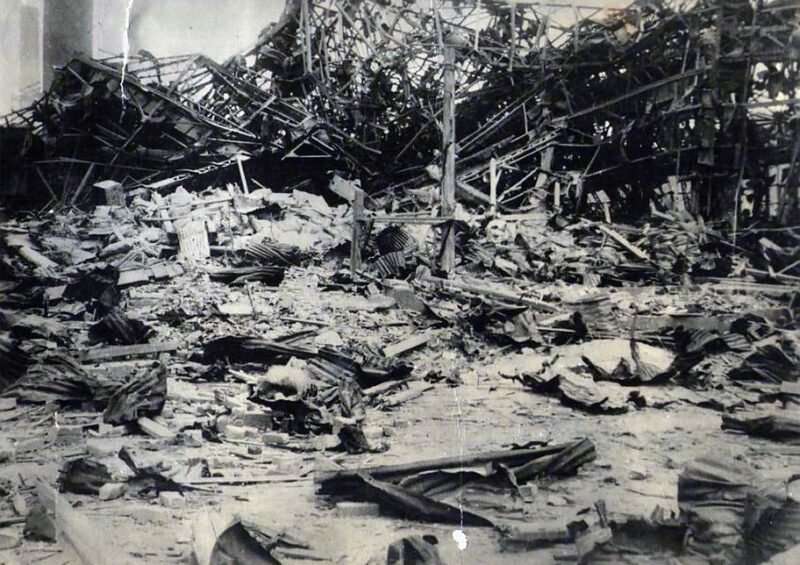 Regardless, the devastation from the bombing was significant, wiping out 22.7% of Nagasaki’s buildings. It also claimed between 50,000 and 100,000 lives. When considering the atomic strikes against Hiroshima and Nagasaki, is ‘Obliteration’ too strong of a word? Perhaps, in the literal context of the word.The Japanese society did not disappear from the face of the earth, nor did its customs, norms and generations. No, those elements held fast, despite the utter horror and hell-on-earth that was created in those devastated cities. There is no way that these words can truly capture or portray life for the Hibakusha (surviving victims) left to wander and roam in the scorched rubble of those demolished cities. We can attempt to describe the living hell that was Hiroshima and Nagasaki after the bombings, but we cannot do it sufficient justice. 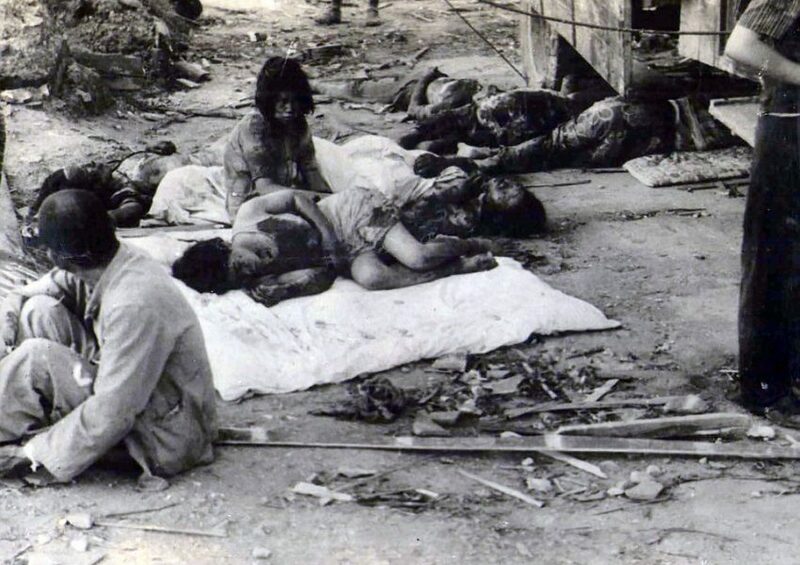 Even many of the Hibakusha have difficulty adequately portraying how truly gruesome life became in an instant. In the blink of an eye, the blinding, white-hot flash of devastation is seared in the minds of those survivors. Forever. And the impact will continue to impact succeeding generations of the Hibakusha. Make no mistake, use of the word horror is understated when considering the sheer carnage that was wrought to human lives. Most have seen and have an awareness of the devastation that arose from the nuclear blast and the subsequent fires that ravaged entire cities. Within a second of the blast, temperature within the resulting fireball of around 200-300 diameter reached several millions of degrees F.
At ground zero (aka, “hypocenter”), upon detonation, temperatures breached over 4,000 Celsius, literally vaporizing people to atoms. Ten to fifteen minutes after the blast, the many fires caused by the detonation coalesced into a firestorm that swept through wooden structures, leaving thousands burned beyond recognition, and thousands more burned and mutilated, and destroying 4.4 square miles. 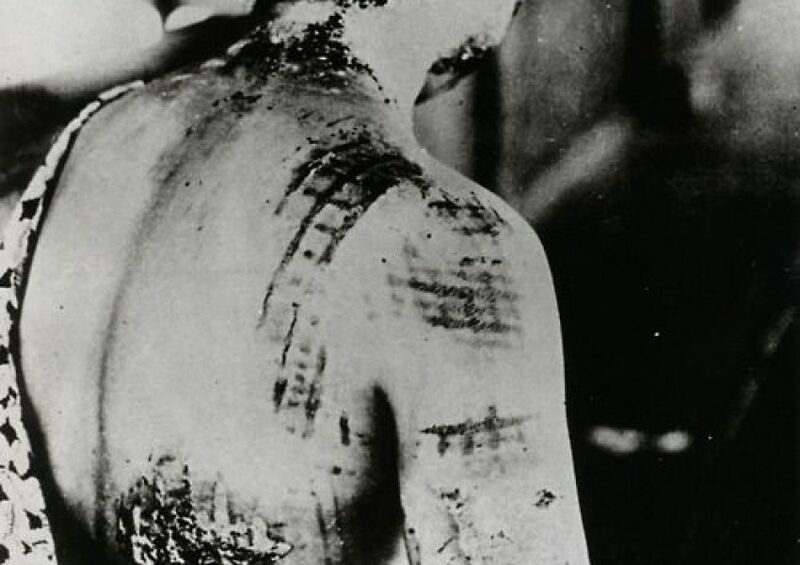 People far away from ground-zero were so badly burned that the patterns of their clothing were seared into their skin. At detonation-plus-three (three hours after impact), women with flesh literally hanging from their bodies in shreds were seen trying to nurse their dead infants. 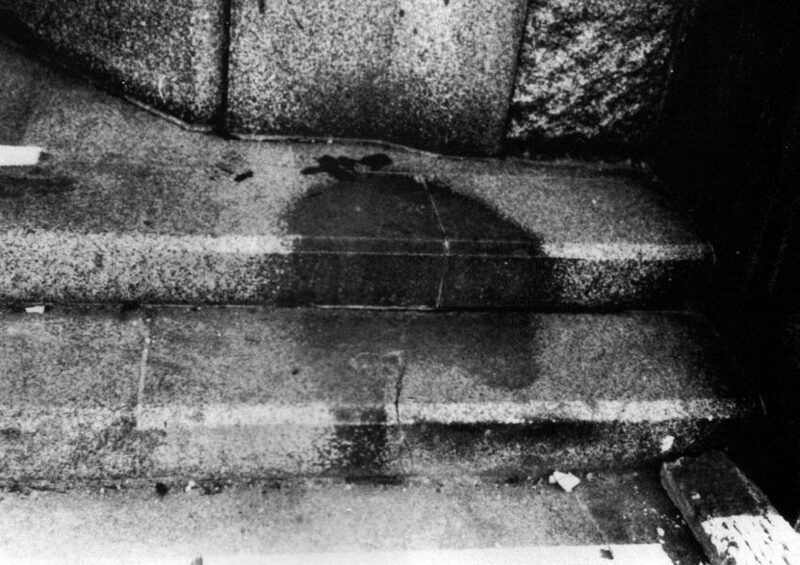 One can still see the “nuclear shadows” in Hiroshima and Nagasaki; evidence of true obliteration of a human life. To understand how a “nuclear shadow” is formed, think of being sheltered during rainfall. 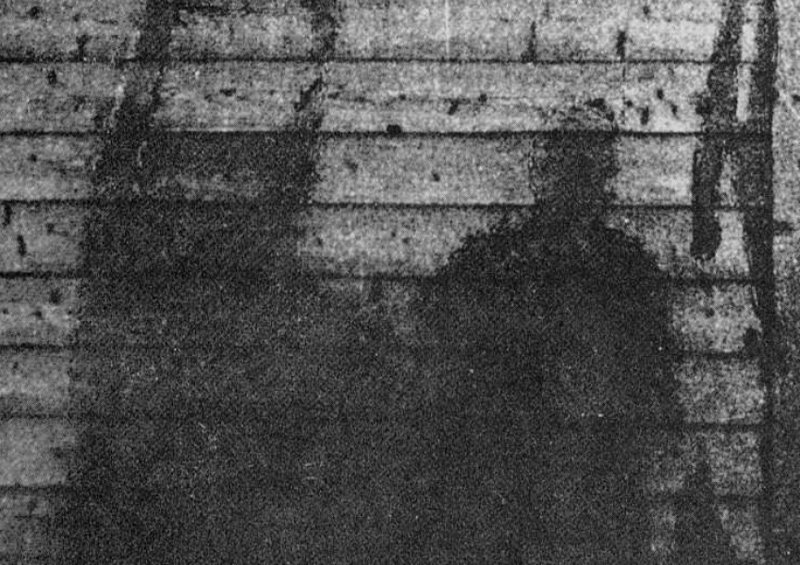 Beneath the shelter, the ground is dry up to the perimeter of the roof of the shelter, however, just beyond the perimeter, the rain is soaking the ground.In the case of a nuclear shadow, a blast of thermal radiation strikes an opaque object and the surface behind that object with the same level of intensity, creating an outline or a shadow of the opaque object on the surface behind it. 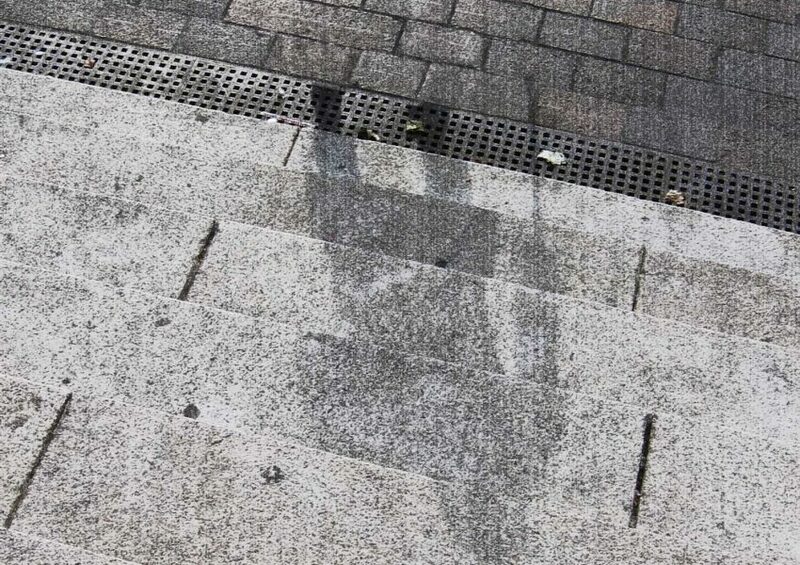 If the surface is either asphalt or concrete, the thermal radiation sears that surface material brighter, and the outline cast by the opaque object standing before it is more true to the original shade of the material, which in this case, shows as darker, resembling a shadow. In this context, the “opaque object” mentioned above is a human life. The entire world learned of the after-effects of a nuclear strike over the years following the famous bombings against Japan that brought Japan to its figurative knees. 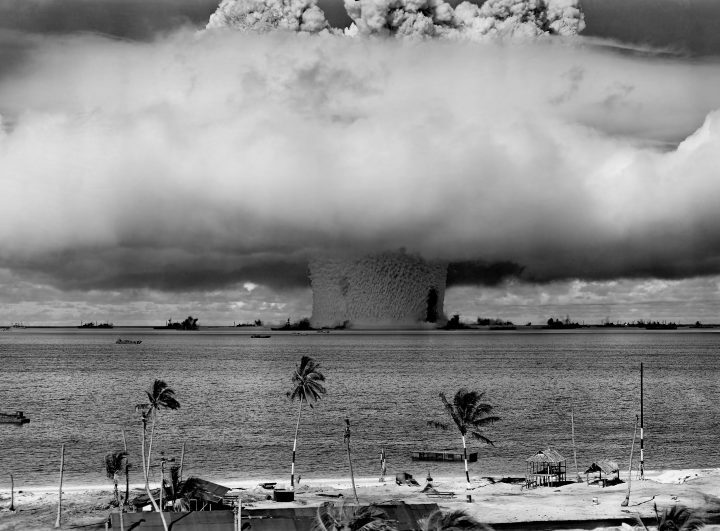 In fact, the health effects of the bomb are still being studied over 70 years later. The occurrence of leukemia among short-distance was approximately fifty times greater than that of the general population. A secondary form of leukemia called myelodysplastic syndrome (MDS) is now occurring with high incidence among survivors who were children at the time of the bombings. Scientists are discovering that atomic bomb radiation has adversely affected DNA, injuring the double-strand and causing it to re-couple, forming abnormal gene-fusions that cause various forms of cancer. With the devastation of the bombings came the subsequent financial and economic problems of a country ravaged by war. Over the first five to ten years after the bombings, no government aid was available to those who had lost their homes and belongings, and even the ability to feed themselves. People were left to themselves to pick up the pieces of their lives that were so completely demolished in one moment in time. With the earth so grievously wounded, even basic agriculture was problematic, further hindering recovery. The fishing industry, which was such a vital component to the economy of the city also suffered severe and debilitating damage.A social stigma developed in Japan where people who were not exposed to the atomic bomb were reticent to allow their children to marry those who were. This form of social segregation eventually dissipated in the early 1960’s.Finally, approximately 7,000 survivors were demonstrating a very high incidence of post-traumatic stress disorder (PTSD), suffering from flashbacks to the memory of the bombing. 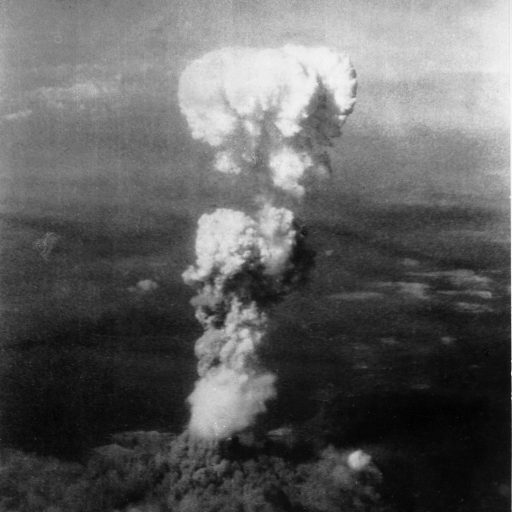 The descriptions provided for you above-although certainly minimal and do not adequately portray the sheer carnage of the strikes, do provide an image to the casual reader of the immediate, short-term and long-term effects of the use of nuclear weapons in warfare.Untold numbers of innocents suffer, as do subsequent generations. Scientists still do not fully understand the gravity of the damage to mutated DNA double-strands; whether those mutations present in subsequent generations. We have so many lessons to take away from that notorious moment in the history of mankind. 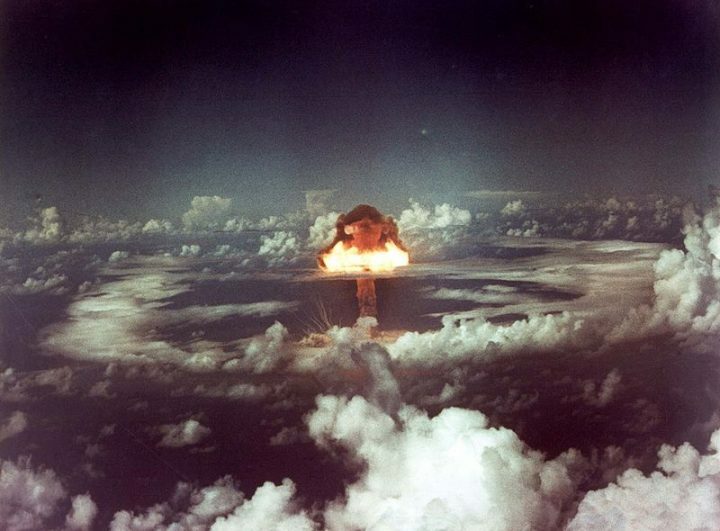 When considering the wonder of nuclear capability, we must always keep in mind the absolute horror and destruction of using such technology in warfare.The benefit of history is to not make the same mistakes mankind has made in the past. And the tragedy that was Hiroshima and Nagasaki provide us unrelenting evidence of the savagery of war taken to an extreme. And yet, despite the overwhelming evidence of how horrific use of nuclear weapons can be, nine nations in today’s global community are sitting on around 15000 nuclear weapons.There still exists weapons like the Tsar Bomba, a 50 megaton thermo-nuclear bomb (3000 times more powerful compare to bomb dropped on Hiroshima), and a B41 25 megaton thermonuclear weapon developed by the USA in response to the Tsar Bomb!! The call to raise our voices and put an end to nuclear weapons is needed now more urgently than ever !